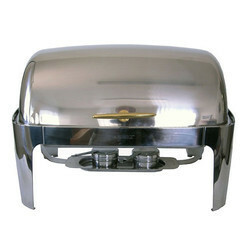 Pioneers in the industry, we offer roll top chafing dish and ss roll top chafing dish from India. 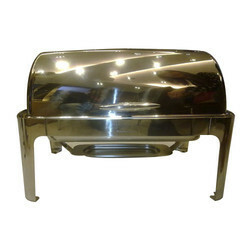 We are among the widely recognized organizations, involved in offering a large array of premium quality Roll Top Chafing Dish that are designed and manufactured using quality approved production material with the aid of top notch technology under the assistance of highly skilled professionals. Offered products are available in various designs and models as per the preferences of our valued customers. The provided array of products is broadly demanded owing to their stunning appearance and quality. Further, our clients can avail these products at reasonable prices.